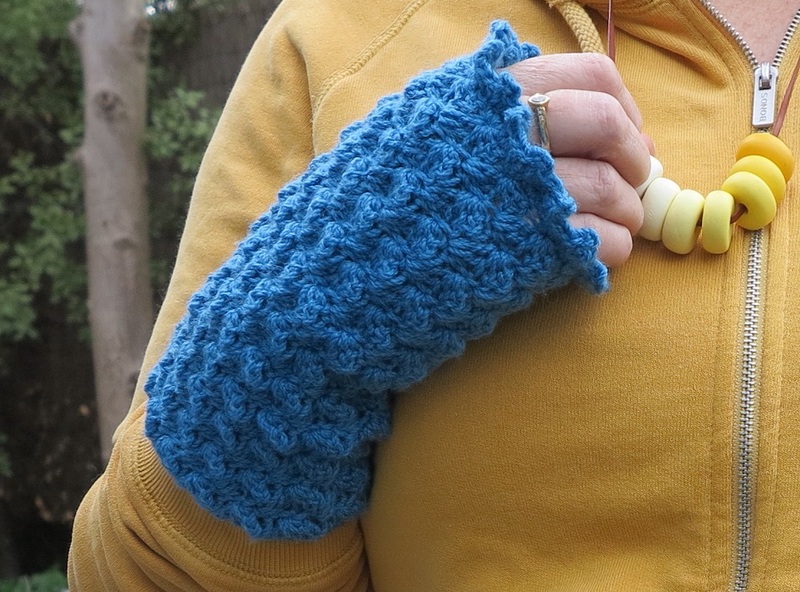 Teal Bobble Wrist Warmers, Crochet. 100% wool. You see I had to make another pair. 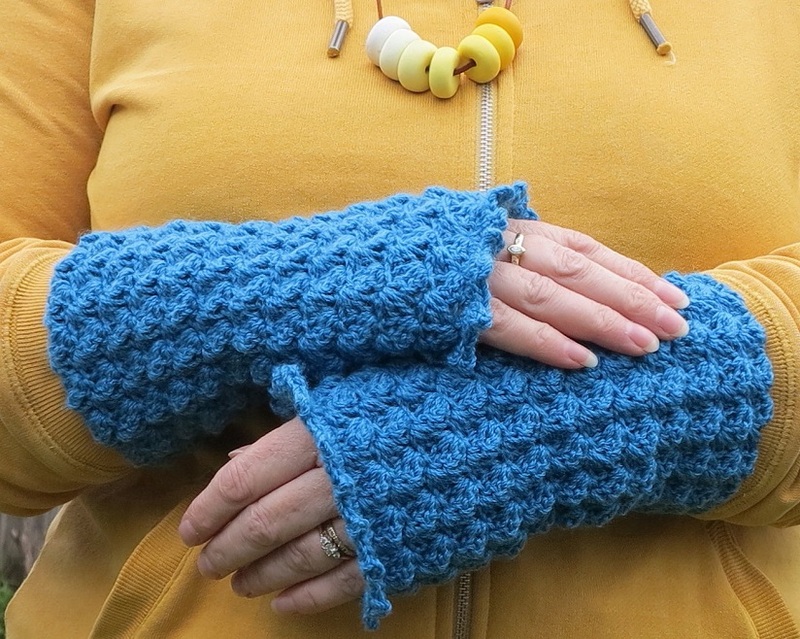 Not long after I finished these lovely crochet wrist warmers, I got myself a new mustard hoody for my winter walks. And not long after I got my mustard hoody I realised that my soft pastel wrist warmers just would not do… pastels and brights together? For some maybe, but not for me… Obviously, I’d just have to make some more… right? You see I’m up to weaving the ends in, and washing and blocking the last two blankets I’ve made. And I just love a diversion… not to mention starting another project before I finish the last! It’s a bit of a specialty of mine actually. I love the teal and mustard colour combo… I understand I may well be a year or two behind trend… but I love it… now. 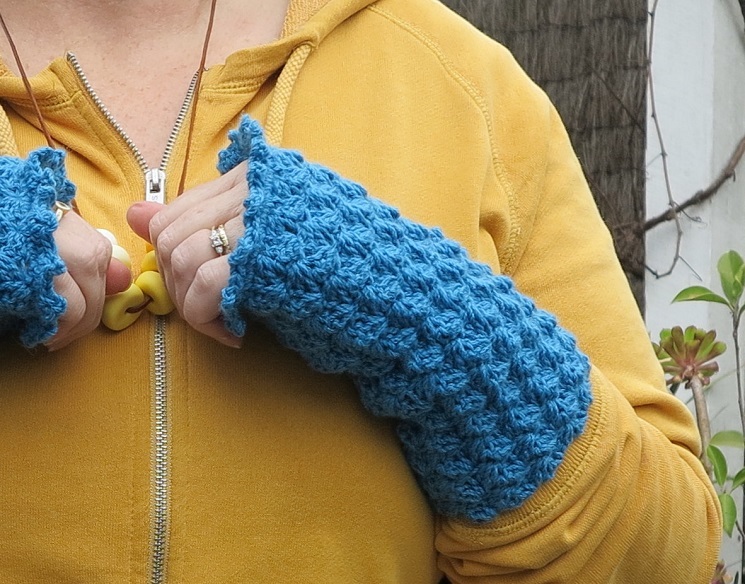 I made these wrist warmers up. Using one of my favourite crochet stitches, the blanket stitch. They were quick and easy, and became quite the chunky little warmers. So I finished them off with a chunky little bobble edge to match the chunky bobble-ish stitch. Perfect chunky goodness for a blustery cold day. I felt bright and cheery on my winter walk this morning. Everything was quite bleak and grey and overcast… except me, I was a burst of sunshiney colour and I loved it… even my homemade fimo bead necklace matches… Pretty fancypants for a winter walk! Are you managing to get out for a walk when winter shows you her best? Or are you enjoying some summer sunshine on your walks? Or maybe you don’t walk much? 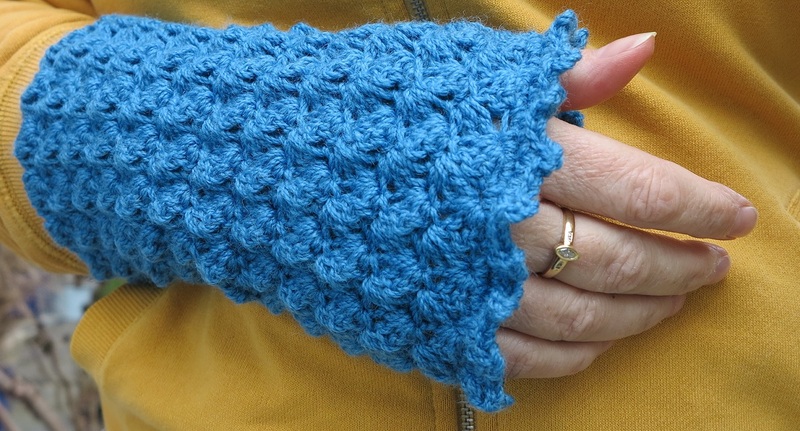 Maybe you need some colourful warm crochet wrist warmers to get you out the door? Would you like a pattern for them? It would be a very short pattern I promise… the only kind I like really! Hope you get some cheery pops of sunshine in your day. This entry was posted in craft, crochet, pattern, Photography, Uncategorized and tagged 100% pure wool, 100% wool, blanket stitch, crochet, pattern, wool, wrist warmers. Bookmark the permalink. ← ‘date with an apple cupcake’ gluten free!